For many of us, visiting a new place is a thrilling adventure often remembered for the rest of life. Spoil the first impression, and the journey turns into something you would rather want to blank out. Unfortunately, when it comes to metropolises, you are very likely to run into some difficulties — getting from one destination point to the other becomes stressful for a number of reasons. Long distances, gridlocked streets, and general unfamiliarity with the city might mean a great deal of trouble for unsuspecting newcomers. Avoiding these unpleasant surprises is easier with MyDriverParis — a chauffeur service offering convenient and enjoyable transportation all over the city of Paris as well as other big cities. Make an online booking and enjoy peace of mind, we will pick you up in the right place at right time. You can book on the website or by calling the hotline available in many languages. 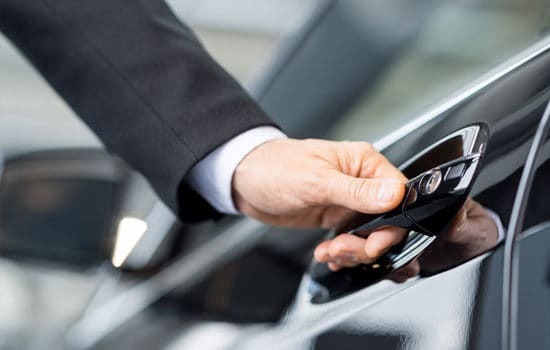 Our vehicle fleet consists of recent car models ready to be brought around at your first request. Meet your needs with a wide selection of Mercedes from E class to V class and make the transportation process easy. You can also book Tesla Model S and enjoy smooth driving experience in this eco-friendly car. Our vehicles are packed with all the newest tech solutions, and our clients are spoiled with candies and water. We have the team of highly qualified drivers that know your chosen city inside and out, backwards and forwards. Besides, we use the latest GPS software to avoid traffic jams and ensure you get from place A to place B on time. So, just sit back and take in the sights. Get to a business meeting as scheduled and in style. We guarantee reliable, businesslike chauffeur services and luxury vehicles you will be satisfied with. MyDriverParis offers you a unique opportunity to see the most celebrated attractions in Paris. Our knowledgeable drivers will guide you in the process of exploring the city, making it fun and entertaining. We provide a variety of ground transportation services from airport, station, or hotel transfer to intercity transfer. With MyDriverParis, it is a safe and reliable journey. Our professional, friendly, and experienced team of chauffeurs is at your service to help you every step of the way. Your journey is about to begin, and we are here to make it delightful!